Vancouver, BC – Joseph Davis, fourth-time federal offender, who failed to return to his Vancouver halfway house on February 11, has been arrested in Eastern Canada. The VPD provided the public with additional information on Valentine’s Day, including a description a Mercedes SUV that Davis purchased. During his early morning arrest today in Quebec, he acknowledged the media attention about his warrant and the SUV, which he was driving when he was arrested. Joseph Davis remains in custody. Vancouver Police are renewing their appeal for information about the whereabouts of Joseph Davis, who is currently wanted Canada-wide. Davis was on release under a long-term supervision order and was residing in a Vancouver halfway house when he missed his curfew on Monday night. Police have learned that Davis has purchased a grey, 2001 Mercedes ML320, which may have B.C. license plates HB7 41S. 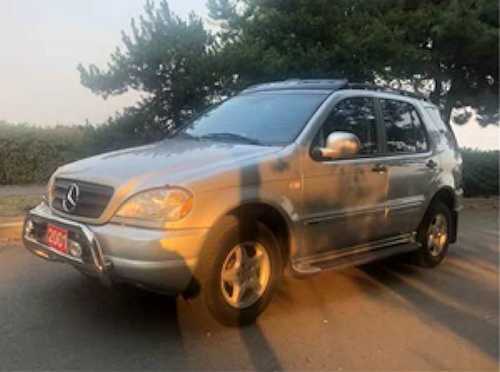 Police believe that he may be travelling in the Mercedes and may be headed east to Winnipeg. Davis is white, 5’8” tall, and weighs 178 pounds. He has short blond hair, blue eyes, and numerous tattoos on his arms. He was last seen wearing a black rain jacket, blue jeans, and work boots and was carrying a small backpack. Police have learned that Davis has purchased a grey, 2001 Mercedes ML320, which may have B.C. license plates HB7 41S. Please call 9-1-1 immediately if you see Joseph Davis or the grey Mercedes, or if you have any information about his whereabouts.